With the Sydney Mardi Gras Parade just days away, we couldn’t think of a better time to get our shimmer on. Whilst we brace ourselves for glittery ‘grams and shimmery selfies, the least we could do was edit the latest, greatest and (obvs) sparkliest products to help you shine IRL this weekend. We’re dubbing these products glitter for grown-ups, and we're so ready to shine bright like a big effing diamond this Mardi Gras! How could you possibly go wrong with MAC's classic glitter pots? 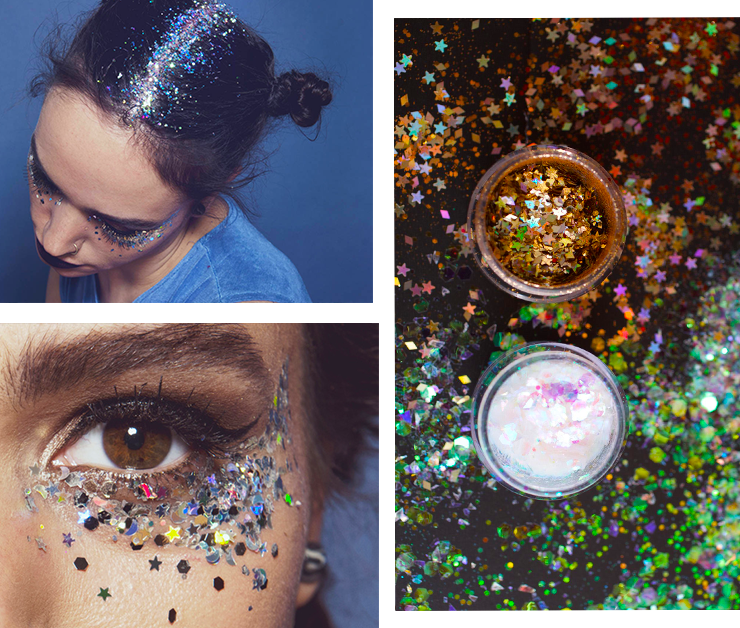 This glitter promises high-level sparkle (which is exactly the level of sparkle we want, TBH). Use it as an eye shadow, dip your freshly painted nails in it or line your hair part with it. Gold glitter not your thing? We get it. Perhaps the easiest way to inject a little metallic shimmer in your not-so-everyday routine is through super-shiny eyeliner. Newly launched Aussie brand, Melissa Sassine is the lovechild of Australia’s most renowned bridal makeup artist, so you know your gold liner will last through rain, hail, tears, sweat or shine. The easiest way to apply glitter eye shadow. No mess, no glue, no stickiness, no problems. Stila's coveted liquid shadows are available in ‘grown up’ shades such as bronze, copper, rose gold and charcoal, this shadow is 100% Mardi Gras approved, whether you’re parading or not. Who didn’t want a pair of Dorothy’s magic ruby red heels? Queens, rejoice. Now you can wear those ruby sequins ON. YOUR. LIPS. If this isn’t a dream lip shade, we don’t know what is. Honestly, just call us Cleopatra. If you’re feelin’ a little extra, this Tom Ford body oil is the most luxurious shimmer we’ll ever own. It’s complete with silver and gold leaf (seriously) and smells like sun-kissed summer afternoons. Apply to collarbones, shimmy, selfie, repeat. If you’ve been donning glittery eyelids for years, next-level shimmer must be high on your agenda. Enter Huda Beauty and super long lasting, ridiculously shimmery matte lip-glosses finished with reflective pink-pearl pigments. If it’s good enough for RiRi’s cheekbones, it’s good enough for us. Match Stix are the hero product of Rihanna’s newly launched makeup line, Fenty Beauty. Perfect as a fail-proof shimmery highlighter. Easy enough to apply on the train. You are welcome. Unicorn tears have been bottled and immortalised in this little pot of dreamy, chunky purple glitter. Drench your lips in sparkles or camouflage your under-eye bags, whether you’re channelling a mermaid or Boy George. Having a qiet one? You'll need to catch up on these docos, stat.